Nose: A considerable amount of barleyjuice, reminiscent of a distillery smell along with a juicy, tropical fruit note, pineapple and spices from the fresh oak, pepper, vanilla and perhaps ginger. A little hint of green apples as is often the case with young “whiskies”. A strong scent of bourbon and a little suggestion of aniseed. Taste: Full bodied, barley and possibly a little hint of lime. A little sharp and aggressive, which is normal for such a young whisky, but in a very balanced way. It´s bottled at 47% so it has a little bite to it and it might be wise to calm Flóki down with a wee drop of water to let him open up and be a bit more approachable. Finish: Not particularly long, which is expected with such a young whisky but loads of spice, nutmeg and freshly moved lawn. Takes you back to the fields of the Icelandic countryside, if you´ve ever been there. An absolutely delicious young malt that is definitely worth checking out. 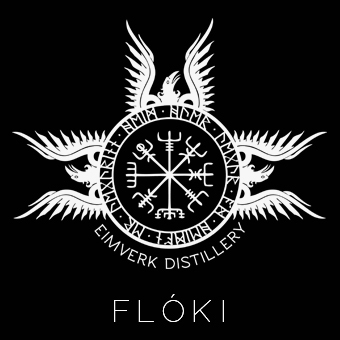 We at Viskíhornið have tried a lot of new makes and young malts over the years and looking past being maybe a bit biased, we totally believe that the Flóki Young Malt can really hold its ground against the more established Scottish, and other distilleries. It’ll be really interesting to watch how Flóki progresses in the coming years. Click HERE to book a tour at Eimverk distillery in Iceland.